Most of us have had back pain at some point in our lives and many of us live with back pain on a daily basis either from previous injury, aging, or undiagnosed/unknown reasons. 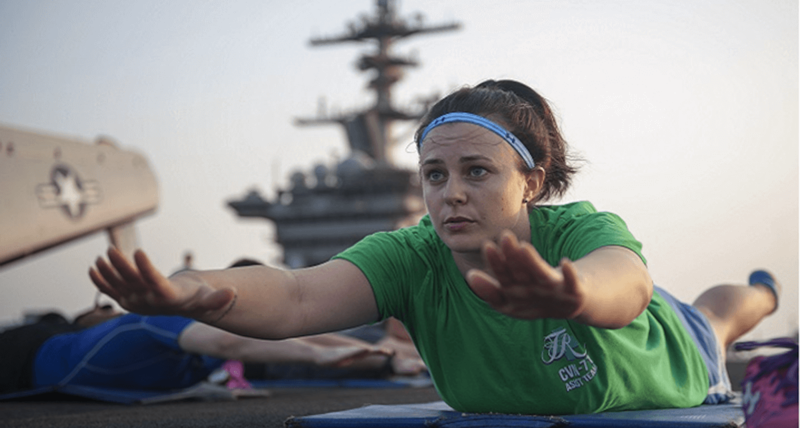 Fortunately for us, there are many activities and adaptations we can incorporate into our daily lives to help maintain and improve our back health (in addition to traditional treatments such as physical therapy). Keep Moving: A healthy back needs blood flow and the best way to keep blood flowing is through movement daily. If you currently have back pain, try something low impact such as biking on level terrain, the elliptical, stationary bike, an easy-moderate hike, or a nice stroll on the beach. Train and Engage your Core: Your Transverse Abdominis is a deep muscle and acts as a corset wrapping from one side of your low spine to the other. This muscle helps provide stability and should be engaged prior to all movements of your extremities. However, this muscle often becomes inactive and needs to be retrained. To start, in either a standing or lying position find and place your fingers over the two bony prominences below your belly button extending from your pelvis. Without sucking in, try bringing your belly button back towards your spine and imagine tightening your core. You should feel the muscles under your finger firm. Try to hold for at least 5 seconds while continuing to breath. Avoid overly straining or holding your breath. Once you feel confident with this, you can practice engaging this muscle with arm or leg movements or even maintaining this activation while walking/biking. Posture: Poor posture can wreak havoc on your spine. Consider all of the postures you are in throughout the day: sitting, standing, during exercise/lifting, even sleeping. Try resetting your posture in standing. Slightly tuck your chin so that the back of your neck is slightly lengthened; your ears should fall just about in line with your shoulders. Relax your upper trapezius muscles and bring your shoulder blades slightly down and back slightly raising your chest and keep your palms facing forward. Also remember to turn on those core muscles and bring your pelvis into a neutral position (not too far into an anterior tilt). When sitting for prolonged periods try using a lumbar support. This can be accomplished with a simple towel roll. Roll up a hand towel. Then sit all the way back in your chair (with a back rest) as far as you can go. Next lean forward and place the towel roll at the base of your spine and sit back. You can adjust the thickness of the towel roll for comfort. 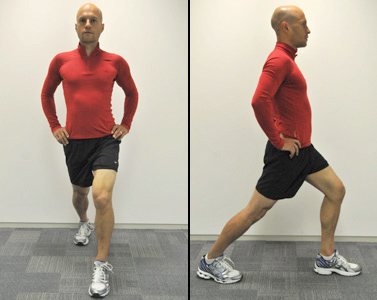 Standing Hip Flexor Stretch: Stand (with hand held support at a wall or counter if needed for balance) in a lunge stance. Turn the toes of your back foot slightly inward so that you are standing toed in. Stand up tall with good posture and sink further into the lunge until you feel a good stretch in the front of your back leg. If possible, alternate bringing either hand overhead one at a time. Side lying Rotation: Lying on your side on a bed or mat, band your hips and knees to 90 degrees. With your arms out in front of you and palms together, take your top hand and twist your upper back having your hand lead the way. You can follow with your head or keep your head stationary for a cervical spine stretch. This is just a small list of things you can do to protect, maintain, and improve the health of your spine. For chronic pain/injury, meet with your physical therapist to develop a tailored program that incorporates multiple physical therapy services.